This case concerns a 35-year-old male patient who lost teeth #11 and #21 FDI (#8 and #9 US) in a car accident. 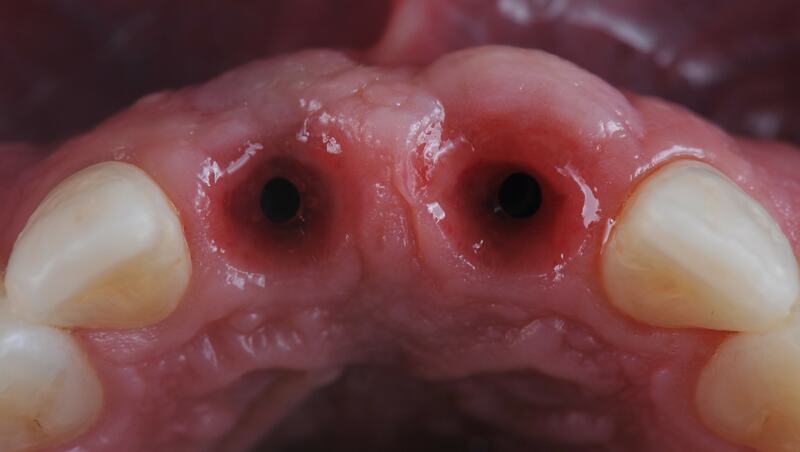 The treatment selected for replacement of both central incisors was based on the angulated screw channel (ASC) system and involved placement of two screw-retained single units and two Nobel Active Implants. The two ASC crowns were designed virtually, using the 2G NobelProcera scanner. 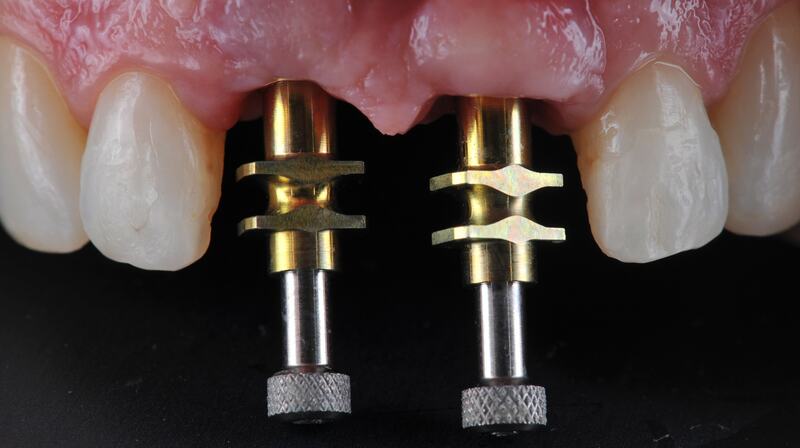 The ASC system was used because it allows for an angulation of 25° between the implant long axis and the crown. It also permits the use of screw-retained implant crowns instead of individual abutments and cemented crowns to correct the angle of the screw access hole. Intraoral view of initial situation. Tooth loss #11 and #21 FDI (#8 and #9 US) due to a car accident. Orthodontic treatment was used to provide proper spacing for the two provisional pontics. Intraoral view of the temporary screw retained implant crowns. 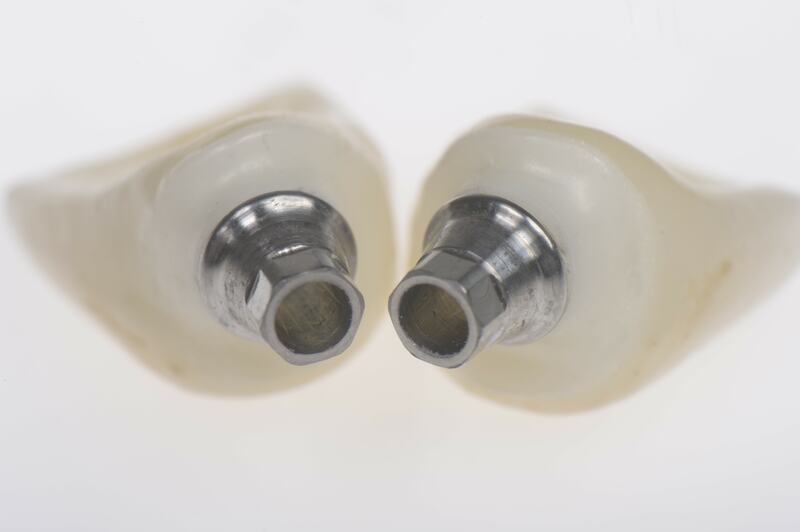 Impression with two impression copings screwed on the implants. 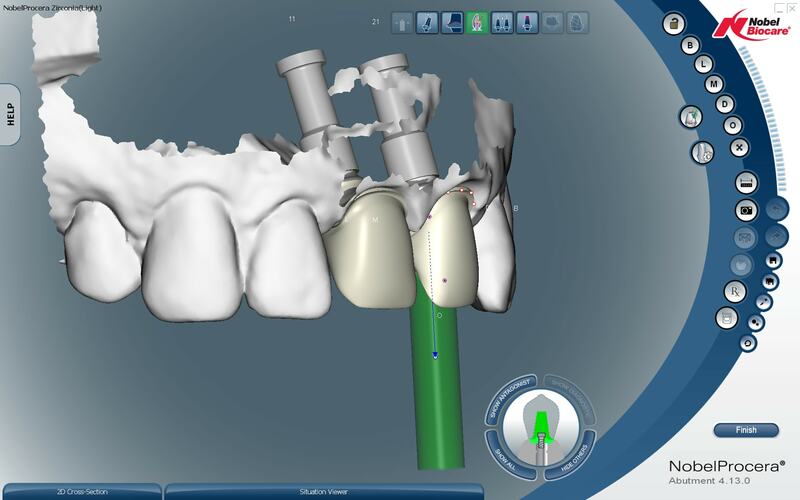 Treatment planning: Virtual design of the two ASC implant crowns with the 2G NobelProcera scanner. We notice an angulation of 25° of the implant crowns necessary to avoid screw access holes on the labial surface. Occlusal view of the installed NobelActive implants and the amount of the connective tissue graft. 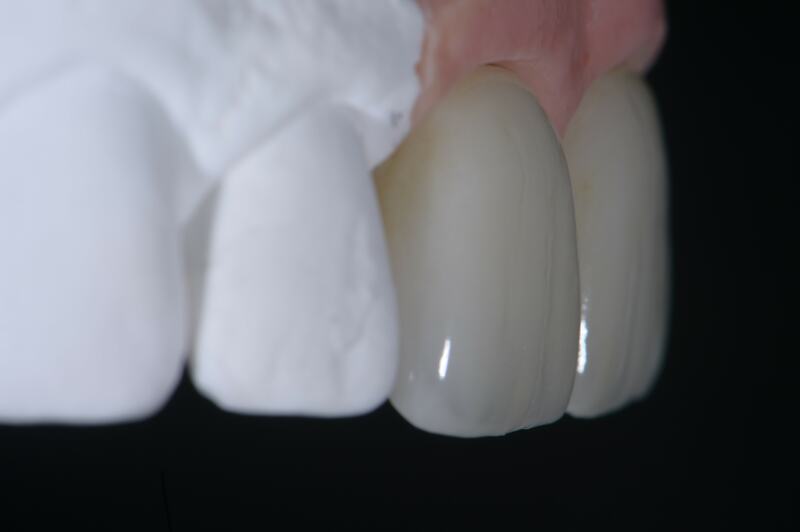 The zirconia ASC implant crown with the titanium interface and the concave undercontour. The cervical contour of the zirconia implant crown on tooth #11 FDI (#8 US) needs to be corrected so the finish line is located subgingivally due to a visible supra-gingival position. Occlusal view. Position of the ASC crowns, angulated 25°. The titanium interfaces fit perfectly into the conical connection of the implants. The special designed Omnigrip screw driver allows the driver to rotate the screw from any angle within the screw channel range (0°-25°). 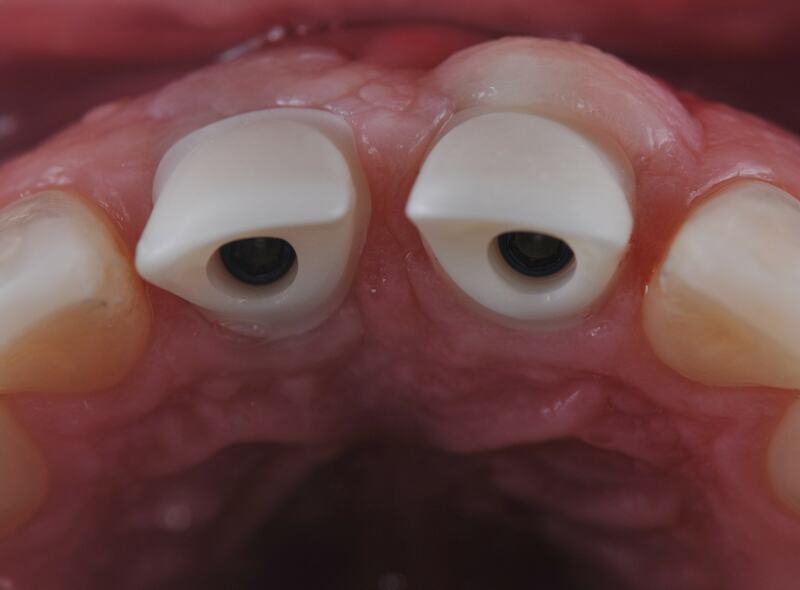 Individual ASC abutments were selected so the screw access would not be positioned along the incisal edge and a layered porcelain technique could be used to optimize the crown aesthetics. 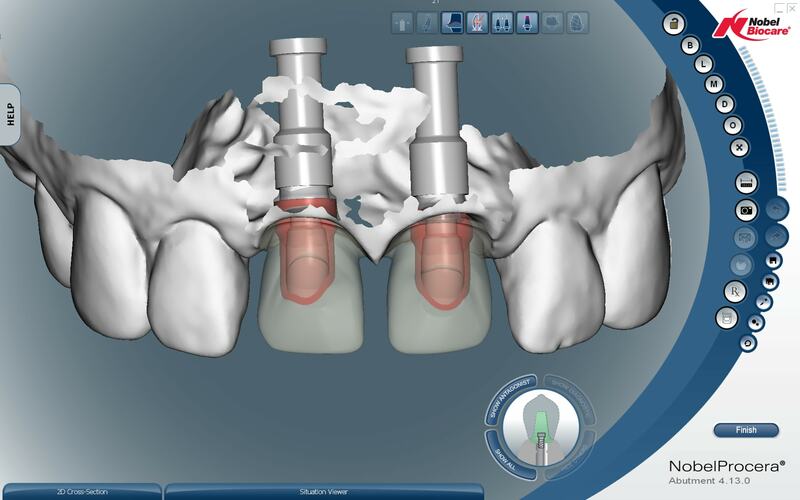 Take notice of the nice emergence profile of the ASC implant crowns. After screwing the ASC implant crowns in the patient‘s mouth using the Omnigrip screw driver, the cervical part of the crown fits nicely with the soft tissue. 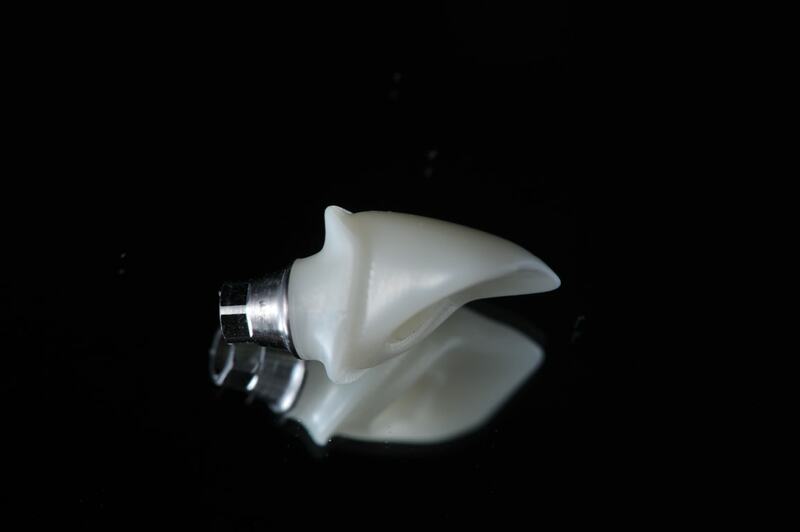 Since zirconia is a biocompatible material, it is recommended for transmucosal soft-tissue adhesion. Very nice work! 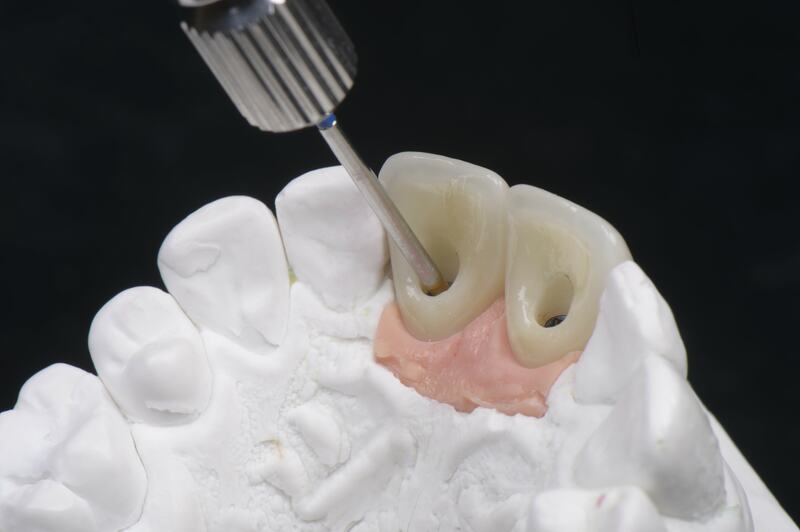 Was the access hole closed with composite or the full porcelain crown was cemented over implant zirconia abutment? A finish line is present lingually but a lingual undercut was present too. If you can clarify, thank you! Because the loss of the teeth was due to an accident, was the placement of the implants performed immediately? Wilson TG, Jr. The positive relationship between excess cement and peri-implant disease: a prospective clinical endoscopic study. J Periodontol. 2009;80 (9): 1388-92.